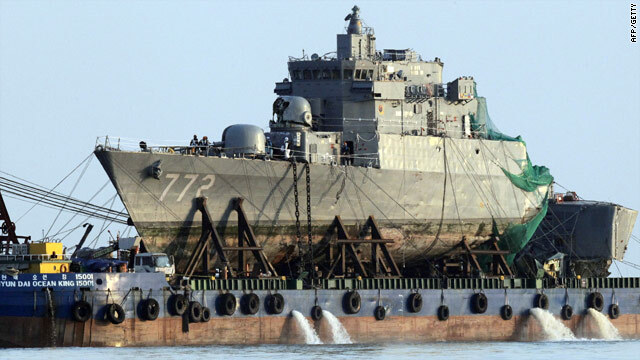 South Korea on Friday formally asked the U.N. Security Council to investigate the sinking of its warship the Cheonan. United Nations (CNN) -- South Korea has formally asked the U.N. Security Council for action over what it says was North Korea's sinking of one of its warships in March, the Mexico U.N. mission said. A letter from South Korea arrived in the offices of Mexico, which holds the current council presidency. Ambassador Claude Heller, Security Council president from Mexico, said Korea delivered a letter requesting the body take action. He said the letter will be circulated to council members and the council will respond appropriately after consulting with other members. South Korea investigated the incident and says a North Korean mini-sub fired torpedoes at the Cheonan naval ship and killed 46 people. North Korea denies it attacked the vessel and called the probe a farce. South Korea President Lee Myung-bak, who announced the move in Singapore at a security conference, said North Korea "must admit its wrongdoing. It must pledge to never again engage in such reprehensible action." "If we think that after a while North Korea's action will be condoned and that stability on the Korean Peninsula will somehow be maintained then we would be foolling ourselves because North Korea would once again resort back to attacking others."